You’ve Kondo’d your closets and purged anything that doesn’t spark joy. You’ve donated the pile to charity or your local Buy Nothing group. Now it’s time to get down and dirty. You can tackle the job with grace and finesse with these simple tools and cleaners that work hard for you. Swedish Washing Up Whisk ($11 at thefoundryhomegoods.com). Perhaps adding a little Scandinavian culture will put some spring in your spring-cleaning step. 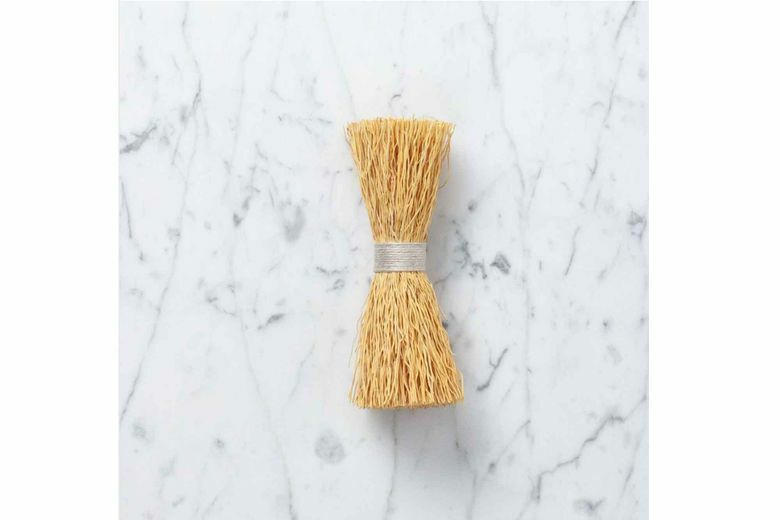 This elegant natural scrubber is made by hand in Sweden from the root of a blooming lily sometimes called a “broom root.” It’s water-resistant, durable and attractive standing at attention on your sink — and it gets the job done with or without dish soap. 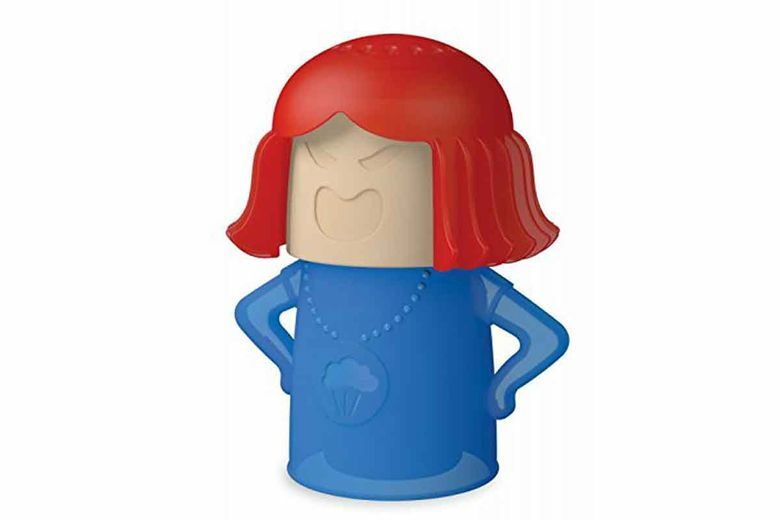 Angry Mama Microwave Cleaner ($5 at amazon.com). A sparkling microwave might keep mama from getting angry in the first place. This cute, inexpensive gadget uses steam and eco-friendly vinegar and water to soften microwave mess in just seven minutes — and the steam comes out the top of mama’s head! The clever invention is a way to get kids involved in the cleaning process while they’re young. 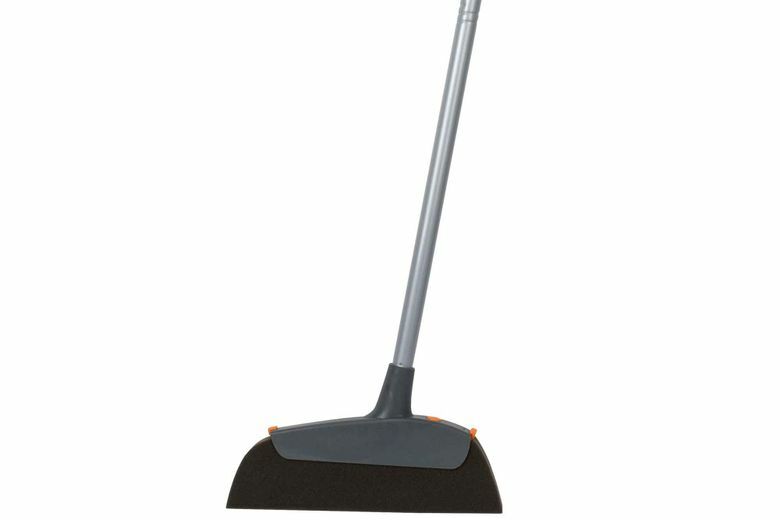 Casabella Magnet Pet Broom ($13 at casabella.com). This broom uses science — and the force of protons and electrons — to attract and remove pet hair from any surface. The electrostatically charged foam head is deceptively simple and needs no chemicals or cleaning agents. Refills are available, because two heads are better than one. 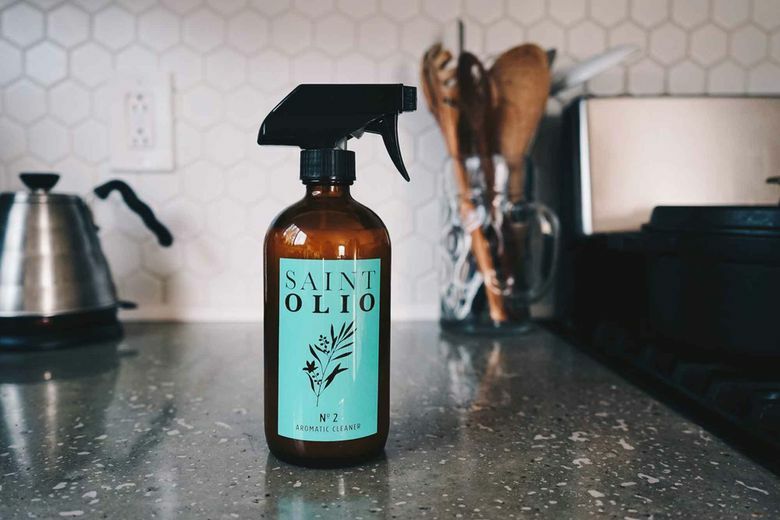 Saint Olio Aromatic Cleaner ($22 at madehereonline.com). Put essential oils to work cleaning your home. This 100 percent natural, antimicrobial formula out of Portland cleans and deodorizes with no toxic residue. Uplifting scents include bright Citron, floral Neroli and lush Sitka. Joseph Joseph Totem 48 Waste Separation & Recycling Unit ($180 at josephjoseph.com). Once your home is clean, help keep it that way. The Totem holds garbage, compost and recycling in a single stylish, powder-coated-steel container, conserving space as well as waste. 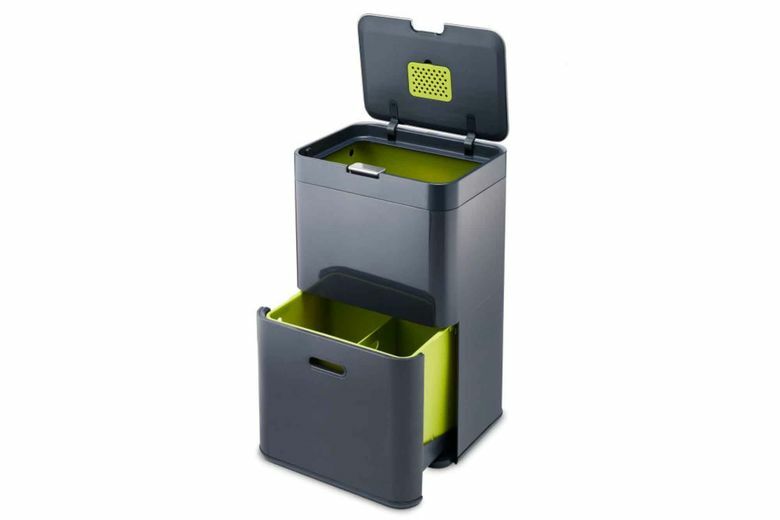 Multiple removable drawers and compartments, each with their own liners, keep everything separated and under wraps.